All bookings for The Swing Era ‘activities’ (classes, workshops, events and festivals) are accepted on the basis of these Terms & Conditions and that by making this booking you understand & agree to be bound to them at all times. We draw your attention to our Cancellation Policy and also remind you that dancing is an aerobic activity, and that participation is at your own risk. Lindy Hop is a particularly physical dance and we advise that starting dancers should consider their health and fitness level (including pre-existing conditions or injuries) before deciding to participate in our activities. If you are unsure please seek medical advice before you sign up. The Swing Era and their teachers cannot accept responsibility for any claim, loss or damage which may occur from your participation at their events. Payment for The Swing Era’s activities have to be made before the activity starts. Courses, workshops and festivals require pre-booking through the website (Cash payments for these type of activities are strongly discouraged due to administrative and liability reasons). Drop-in workshops and some social dances allow students to pay on the door before the activity starts. If you have any reason to believe you should have a discount on the ticket of the activity, please contact the organisation beforehand or bring the required proof (such as free class flyer, gift voucher, etc). In the event that participants are unable to attend The Swing Era’s activity, please note that the payment is non-refundable regardless of reason (illness, other engagement, volcanic ash cloud etc). When participants notify The Swing Era at least 4 weeks before the activity, The Swing Era will work with them to see if solutions are possible, such as a transfer to someone on the waiting list, a transfer to a similar activity at another date or (partial) refund. If you are thinking of arranging a transfer, please refer to that section below. If the organisers cancel the activity due to reasons within their control (organisational issues, planning, intentional decision) your payment will be fully refunded. If the organisers cancel the activity due to reasons out of their control (extreme weather, emergency situation etc) the organisers will not be held liable for the cancellation of the event. Due to data protection rules, The Swing Era cannot contact you about cancellations if you have not signed up to the mailing list or are connected to The Swing Era via social media (Facebook, Twitter or Instagram). As a participant you are responsible to keep up-to-date with the latest information concerning the event, through either our newsletter or social media (Facebook, Twitter). Tickets to The Swing Era activities cannot be sold, exchanged, changed or transferred to another person without the organisers’ express permission. If you wish to transfer or sell your ticket to another attendee you must first seek the permission of the organisers by emailing info@theswingera.co.uk You must only sell to someone attending in the same role (leader or follower) and dance style (Lindy Hop or Balboa) as you . You will bear the sole responsibility to exchange monies with the person you sell your ticket to. The organisers will not accept any liability for any claim, loss or damage that may occur. Dancing is an aerobic activity and dancers participate at their own risk, fully understanding that injury or loss is their own responsibility and that the organisers cannot be held responsible in any circumstance. The organisers and teachers will always aim to keep participants safe and all participants are advised to fill in our disclaimer and discuss any illnesses and injuries with the teachers or organisers before the activity starts. We adhere to the STEPS Safety in Swing Dance code of conduct. This code forms part of our Terms and Conditions. The organisers and their team have a right to work in a non-threatening environment. The organisers reserve the right to refuse admission and/or contact with any person who displays verbal, physical and/or threatening behaviour. Our participants have a right to enjoy dancing in a safe and enjoyable environment where appropriate etiquette and behaviours are expected. The organisers reserve the right to ask any person who displays inappropriate behaviour to leave the event with no liability for any claim, loss or damage which may occur. The organisers also reserve the right to turn down bookings or refuse entry to any part of the activity at any time. Regarding the level of classes, you agree to abide by the decision of the teachers and organisers and attend the level that is advised to you, for your own safety and that of others. 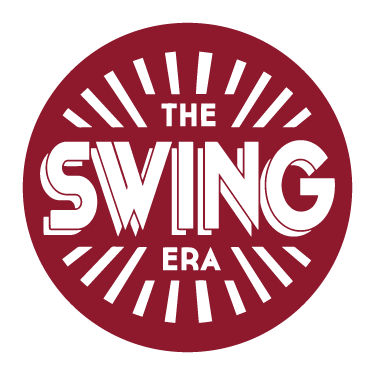 Anyone attending The Swing Era’s activities agrees that they can be filmed, photographed or appear in any other form of media which may be used for the organisers’ promotional purposes. All recordings (film, digital media, photographs or video) at The Swing Era activities remain the copyright and property of the organisers and may be used by them at any time in any media, in perpetuity. Personal film or digital recording of the classes is not permitted without prior agreement of the teachers concerned. Please check with those appearing in personal photographs or videos before publishing. Commercial photography is not permitted, unless with the express permission of the organisers. At any time the organisers’ decision on any matter which may arise is final and participants accept and understand that by registering they are bound at all times by the above terms and conditions and accept that the organisers reserve the right to amend or alter any information they have or may publish from time to time in connection with this event and such is incorporated within said terms and conditions.